Sonic Calligraphy, a jazz duo from Zurich, Switzerland with Chinese American vocalist Peggy Chew and Swiss pianist, Adrian Frey will play in trio with composer, violinist Jason Kao Hwang , a veteran of the NY jazz scene and recently listed as a “rising star for violin” in the “2014 Downbeat Critic’s Poll”. 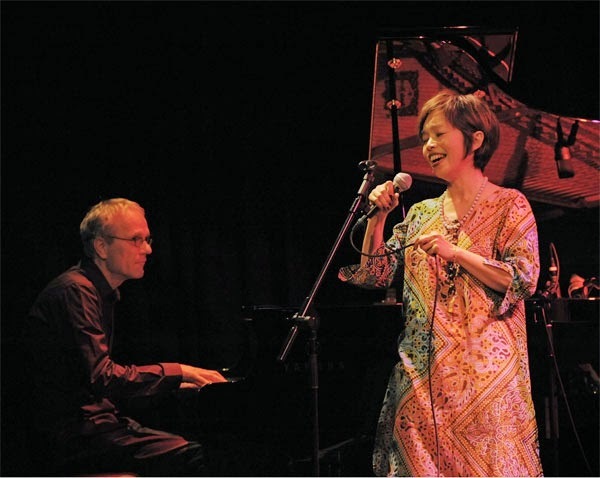 They will create a colorful and fascinating soundscape with folk melodies from China, poetry improvisations from the Tang dynasty and beyond, jazz standards, and songs from the pianist sung with the singer’s lyrics. Since 2001, Sonic Calligraphy has played throughout Switzerland as well as several tours in China, Hong Kong, and the US. They have released two CDs “Sonic Calligraphy” and “Sonic Calligraphy, The Flow of Things.” Festival appearances include: JZ Shanghai Music Festival, Culturescapes Festival , Leung Ping-Kwan Poetry Retrospective in Hong Kong, and the Altrisuoni Jazz Festival. Limited seating; reservations strongly encouraged. Email whynotjazzroom1@gmail.com and specify date, set time or band name, and number of people in your party. Very close to West 4th St. and Christopher St. subways, 9th St. Path Train.